It’s been lurking about the fringes of the box office chart all summer, and now it’s official: Midnight In Paris, Woody Allen’s best film in possible two decades, is the director’s highest grossing film with $50 million in the bank (unadjusted for inflation, anyway). On the heels of this good news comes word that the film will continue to expand wider, and with the late summer lull it could continue to carve out a nice little profit for itself. It seems this is 2011’s The Kids Are All Right or (500) Days of Summer, a little film that struck just the right counter programming chord and provided a good cinematic experience for those uninterested in giant robots and super heroes. 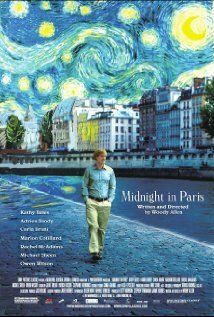 I’ve seen Midnight in Paris, and it’s quite good. It’s particularly fun if you were an English Lit or Art History major; the film is filled to the brim with Easter Eggs for the culturally curious. I’m not entirely clear on how the new Academy voting rules work for Best Picture (they recently downgraded from an absolute 10 to a “we’ll wait and see” approach) but if there were ten this would be a shoo-in for one of the bottom slots. It’s got a great cast, a sweet love story, and a good blend of middle to high brow value. So if you haven’t seen it already, I highly recommend you checking it out. Comments for Good Job, America: “Midnight In Paris” Is Woody Allen’s Highest Grossing Film are now closed.